That’s right, 11 pumps of coffee at the above Swami’s! There’s rain forecast through next week & on rainy days I love to curl up with a cup of coffee & a good book. Given that it rains so rarely here I usually stay home with my own coffee, but with a daily deluge forecast I’m looking for daily coffee alternatives. 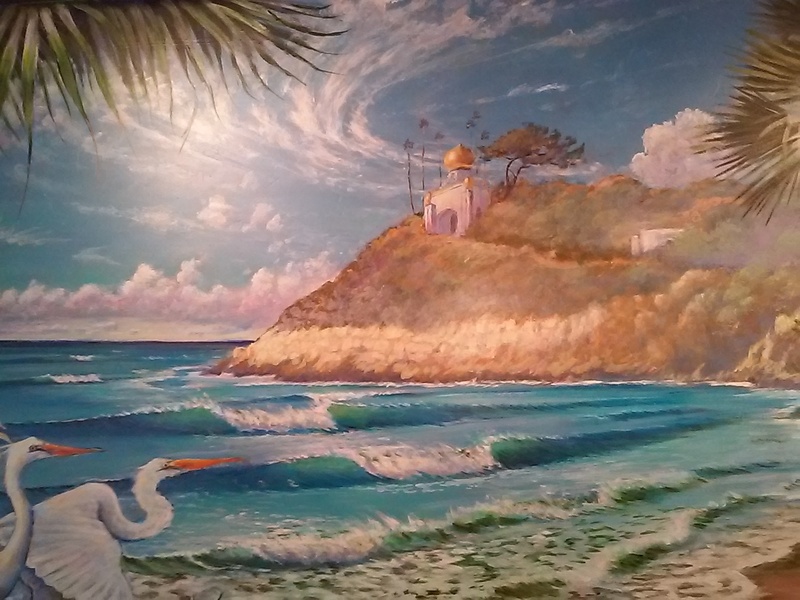 Swami’s, a long time Encinitas café, now has 9 locations throughout San Diego County with 11 coffee pumps at 7 of their locations (see addresses above). For $2.50 (plus tip) you can visit Guatemala, Mexico, Hawaii, France, and Colombia through Swami’s coffees. 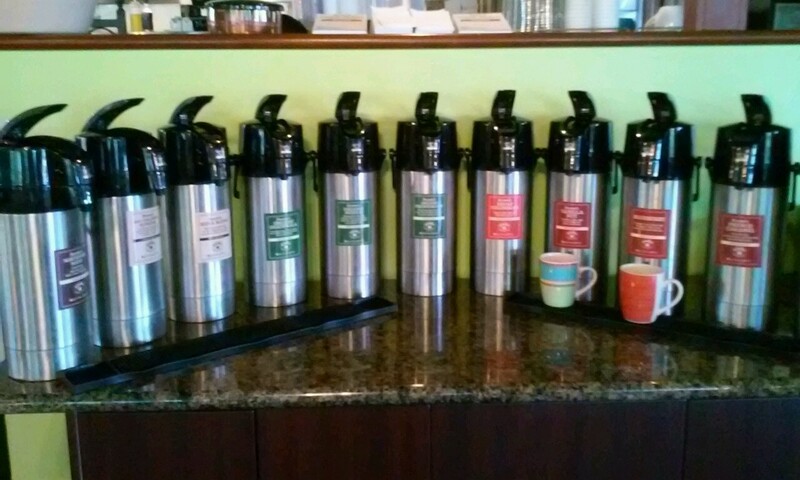 If you prefer sweeter choices, they have vanilla nut, caramel, & blueberry flavored coffees, plus soy & almond milks. Know that they have decaf choices, too, should you overdo it on the caffeine. Their coffees come from Gavina (www.gavina.com). There’s a Swami’s within walking distance of my home, but with 8 other locations there’s bound to be one near you. I’ve got 2 books & a library nearby if I finish them both before the rain stops. Don’t have a library near you? Check out this site for a free book: https://littlefreelibrary.org/ourmap/. Hooray for rain, hooray for libraries, & hooray for coffee choices on a rainy day! 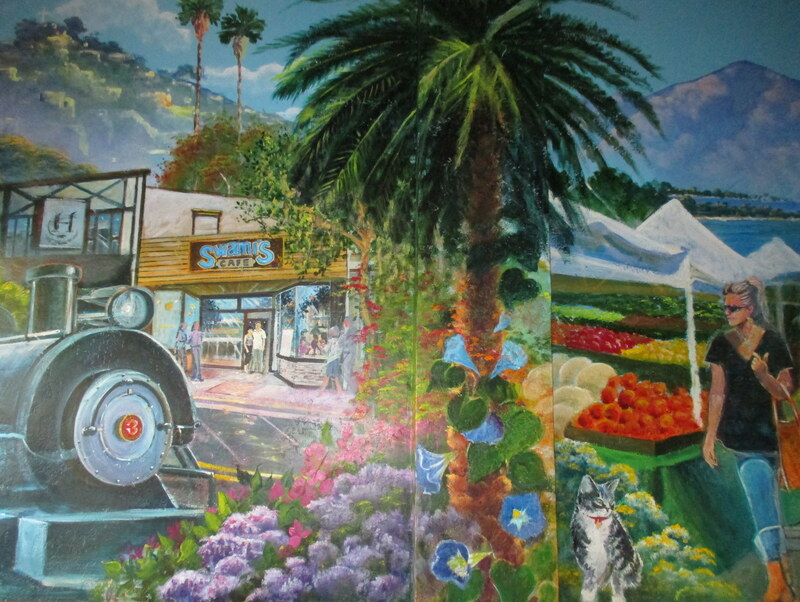 This mural by Kevin is at the La Mesa Swami’s.